Three different polls each showing a different party in the lead. Éric Grenier, the CBC's poll analyst, breaks down the numbers that are anything but clear. Three different polls. Three different parties in first place. The outcome of the federal election is clear as mud and it really couldn't get any closer. The latest CBC Poll Tracker, as of Friday, Sept. 11, pegged the NDP at 32%, the Liberals at 29.8% and the Conservatives at 29.7%. "The three parties are essentially tied," said CBC's poll analyst Éric Grenier in an interview with Chris Hall. The polls this week gave little comfort to partisans. In fact, they've exposed the volatility of the electorate. "Conservatives were in serious trouble — heading down to the mid-20s. Now, we're starting to see a rebound," Grenier said. "The Liberal momentum that we were having does seem to have plateaued a bit. The New Democrats seem to be the only party, more or less, holding on to the support they've had the whole campaign." If you were hoping to see your party pull away in the polls — you'll have to wait, Grenier said. "We're going to see this for the next month before opinions start to solidfy." In fact, because so many Canadians voters are undecided, the leaders' debates are doubly important this year, Grenier said. There will be four debates in a period of two weeks. "That's a big opportunity for each of the leaders but, also, a big risk." Listen to Éric Grenier's full interview with Chris Hall in the player above. Haven't got enough numbers? Éric Grenier joins The House over the campaign for a deep dive into the polls and the data surrounding various battleground ridings across Canada. 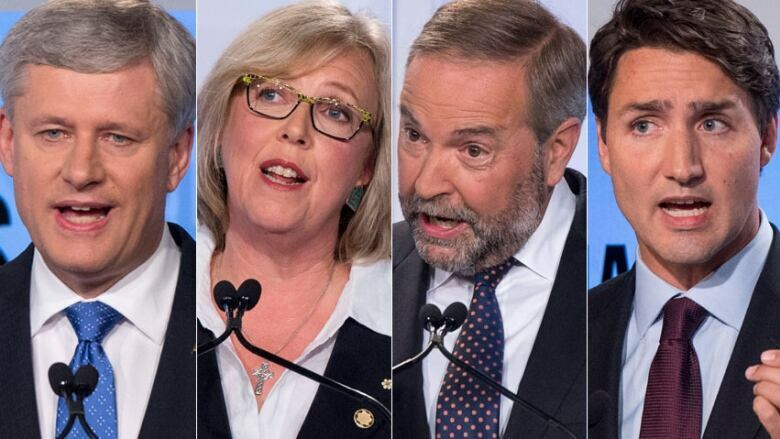 Follow parties' gains and losses here with the CBC's Poll Tracker. This week's episode of the CBC Election Pollcast features host Éric Grenier breaking down the state of the race at the midway point of the campaign with Léger's Christian Bourque and Sun Media's David Akin. You can download the podcasts here. In House Panel: dysfunction from within? FULL EPISODE: Syrian refugee crisis: what's next?